Surfers from all over the globe flock to Costa Rica each year, and it’s debatable among natives whether surfing or futbol (soccer) would be considered the most popular sport. While there are plenty of great surf spots in the land of Pura Vida, Tamarindo stands out from the crowd. In fact, it was surfing that put Tamarindo on the proverbial map back in the 1990’s when it appeared in the film The Endless Summer II, featuring surf aficionados Pat O’Connell and Robert Weaver, following the footsteps of Robert August and Mike Hynson, surfers who made their original quest in the 1960s to find the best surf spots in the world. Playa Tamarindo itself has a number of breaks, ranging from baby waves for beginners to big, beautiful barrels, perfect for the more experienced surfers to showcase their skills. Tamarindo has three main surf breaks: One in front of Capitan Suizo—most popular with beginners and a great place to take lessons; one called Pico Pequeno in front of the Hotel Diria—more suitable for intermediate level surfers; and the mouth of the Tamarindo estuary, at the north end of the beach, which can sometimes provide good conditions for beginners and other times is the best playground for advanced surfers. Even if you are a high-level surfer and you find Tamarindo itself to be lacking a bit of challenge, the town makes for an excellent home base for any surf trip. Playa Grande is the next beach to the North—you can get there by simply taking a river boat across the Tamarindo estuary. Grande is renowned for one the most consistent breaks along the Northern Pacific coast. Directly to the south you’ll find Playa Langosta and Playa Avellanas—both favorites for those looking to challenge themselves and hone their skills. 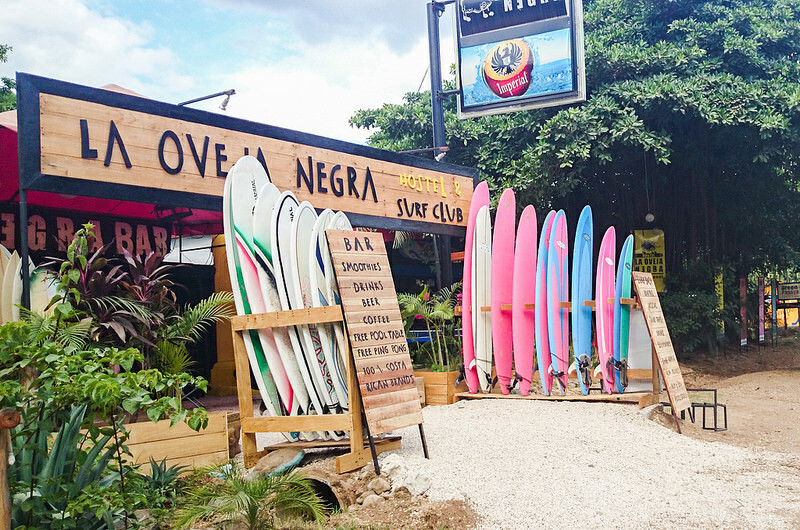 You will also find upwards of 30 surf shops in town in Tamarindo, meaning that anything you might need in terms of supplies or guidance from instructors is all at your fingertips. 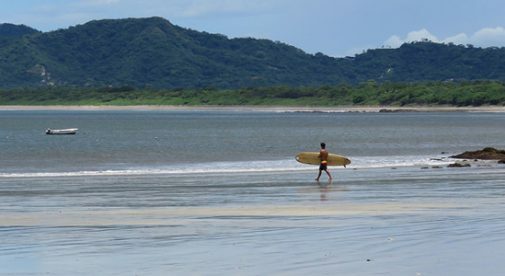 The majority of surf instructors I’ve met in Tamarindo have been surfing nearly as long as they’ve been walking. They know the area like the back of their hands and can also help with any improvements you hope to make during your trip. Tamarindo is the place to find the ideal guide for trips to famed places like Witch’s Rock and Ollie’s Point. Also, with the large number of instructors and guides based in Tamarindo, it’s one of the best places to price shop and get the most value for your money. Camaraderie amongst surfers, locals, and visitors alike in Tamarindo is excellent. Beginners are encouraged and cheered on. Friendly competition and companionship is alive and well between those who are aiming for their next surf goal. Surfers are some of the most laidback, friendly folks you’ll meet, with a carefree and generally positive air about them. And this general attitude and outlook on life permeates throughout Tamarindo as a whole. The fact of the matter is; when it comes to choosing a retirement destination, the possibilities are endless. Two major factors will generally come into play—first, what it is that’s most important to you, and second, what are your needs when it comes to things like budget, healthcare, and international travel. After living in Costa Rica for a year-and-a-half, I’ve learned a lot and answered many questions about the experience. Some people are enamored by the concept of picking up and leaving it all behind for a new life in paradise.